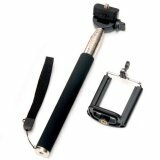 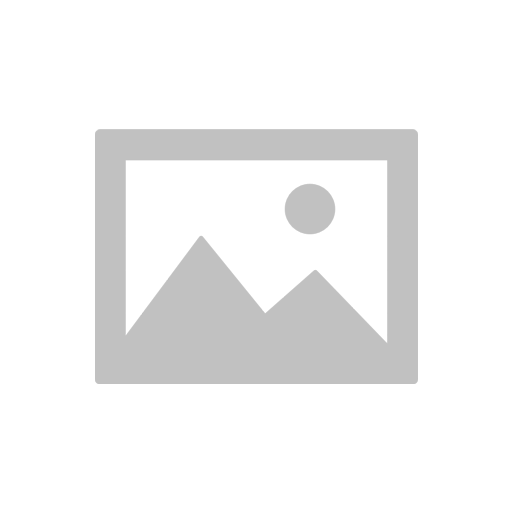 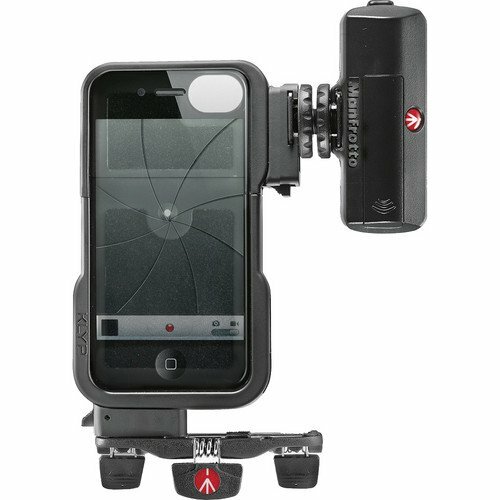 The snap-on tripod adapter provides your iPhone 4 or 4S with a standard 1/4" tripod mount, enabling use with most tripods or supports, including the POCKET Tripod which comes with the kit. 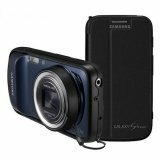 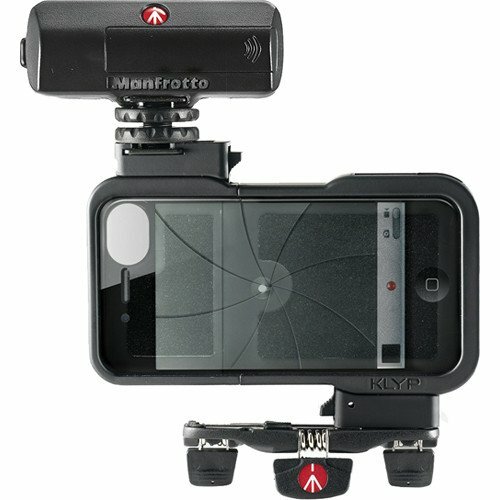 Using this adapter the camera can be mounted for either landscape or portrait images. 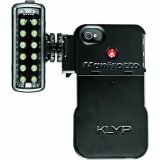 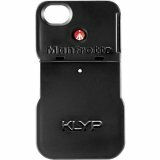 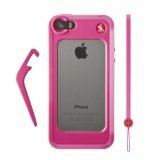 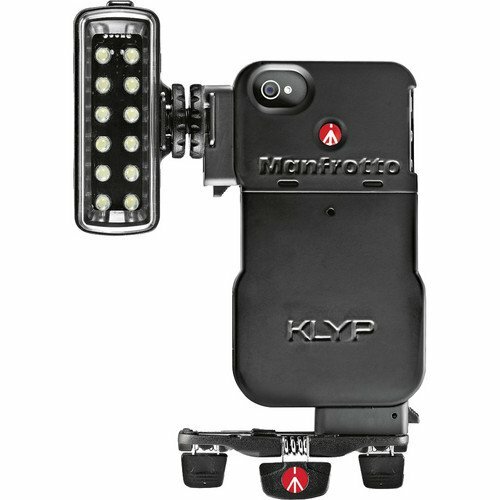 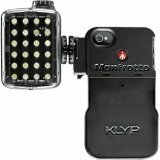 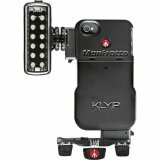 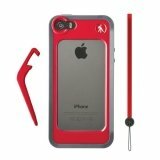 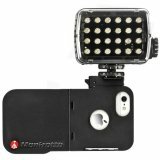 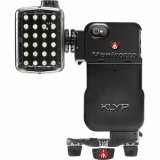 The snap-on light adapter provides the iPhone 4/4S with a standard shoe flash for attaching the optional Manfrotto light of your choice, including the ML120 LED which comes with the case. 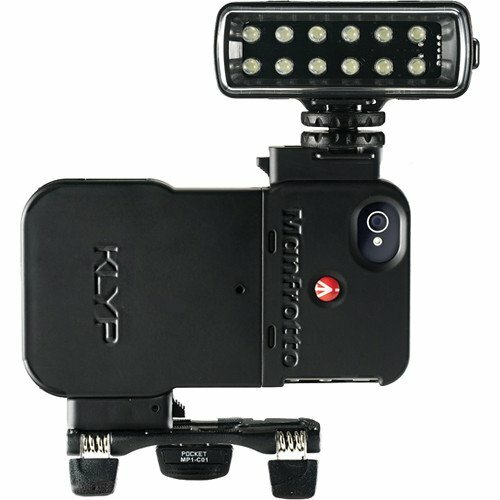 An attached light can be mounted to face forward or backward, to illuminate either iPhone camera.